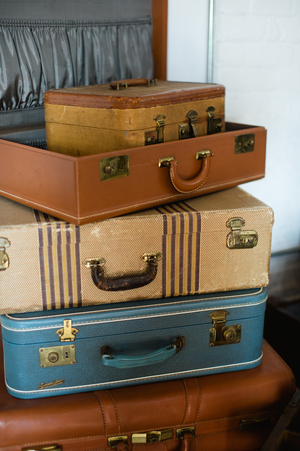 We have a variety of vintage suitcases. They add dimension to a display or lounge when stacked. Let us know how you plan to use them and we can create a collection for you.